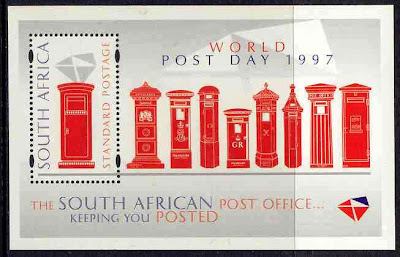 World Postal Day – October 9th « Dr Deborah Swallow – Global Cultural Diversity.. In addition, each year postal services in individual countries may issue special postage stamps to mark the achievements, ideals, and to celebrate the history of postal services. These postal stamps are often of high interest to philatelists and collectors. This entry was posted on Tuesday, October 9th, 2012 at 10:30 am and is filed under about cross-culture, cross-cultural communication, days of significance, General, pictures . You can follow any responses to this entry through the RSS 2.0 feed. Both comments and pings are currently closed.